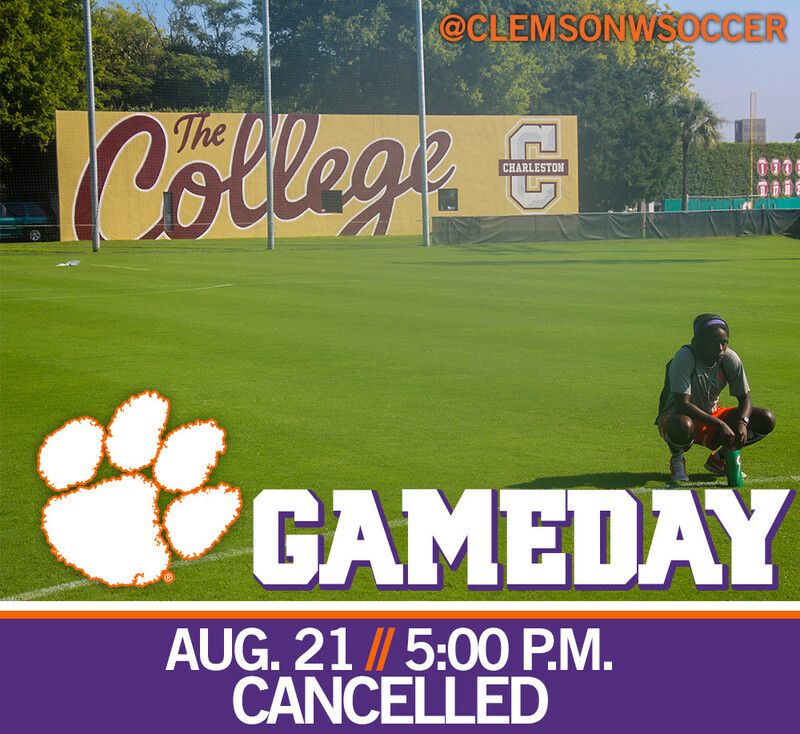 CHARLESTON, S.C. – The Clemson women’s soccer game vs. Texas, scheduled for Friday, Aug. 21 at 5 p.m. has been cancelled due to inclement weather. With an ongoing weather system moving through the Mt. Pleasant area, the field was deemed unplayable with another weather cell set to move in around 7 p.m.
Any schedule changes made as a result of the cancellation will be posted on ClemsonTigers.com as well as on Twitter @ClemsonWSoccer.